These three satellites are experimental communications satellites to test components of the Orbcomm satellite constellation. Orbcomm-X carried, among other equipment, a GPS receiver. It failed to respond after deployment. 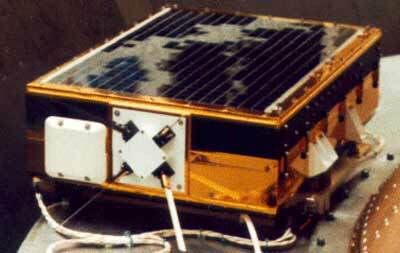 Orbcomm-CDS 1 (Capability Demonstration Satellite), a.k.a. OXP carried an experimental payload to determine global VHF frequency utilization prior to the launch of the Orbcomm constellation satellites. It measured user density, power levels and interference world-wide. OXP features integral solar panels and antennas, and a passive attitude control system using bar magnets, and weighed 13.6 kg. The spacecraft has also been referred to as the CDS Pathfinder Experimental Mobile Communications Satellite. Orbcomm-CDS 2, a.k.a. VSUME (VHF Spectrum Utilization Measurement Experiment), appears to be similar to CDS 1.